The Apulia Region has approved the "SHIRA Planning Agreement", which includes the feasibility study of an high-resolution thermal infrared band Earth observation satellite and the design of a Data Fusion Center located in Apulia. In the framework of the POR FESR 2007-2013 (Regional Operational Programme of the European Regional Development Fund 2007-2013) the Apulia Region has approved SHIRA Planning Agreement. 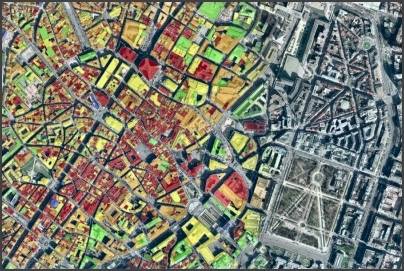 SHIRA agreement includes the feasibility study of an high-resolution thermal infrared band Earth observation satellite and the design of a Data Fusion Center located in Apulia. 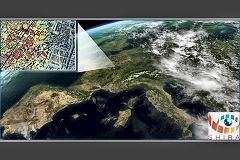 The project is entirely promoted and realized by a consortium of Apulian companies with a consolidated experience in the field of Earth Observation: Mel Systems Srl, MerMec SpA, Planetek Italia Srl, Sitael Aerospace Srl, VVN Srl, and IMT srl. SHIRA High-resolution InfraRed Satellite Application, the name of the space mission, will operate in the thermal infrared, a bandwidth scarcely used by currently operating satellites. The new mission is also complementary to the missions currently provided by the Italian Space Plan. The thermal infrared band, sensitive to temperature and humidity, is useful for applications related to environmental monitoring, agricultural monitoring, urban planning, analysis of heat waves and climate change, and monitoring of natural disasters in terms of studying volcanoes, forest fires, coastal flooding, and finally in the field of maritime safety and border surveillance. The SHIRA project will also study and design a Data Fusion Center (DFC),that is a center of integration and fusion of data acquired by multiple Earth Observation satellite platforms, air and ground sensors. All activities of planning, development and implementation of algorithms and procedures for the prototype of multi-source multi-platform data fusion will be instrumental to the future supply of services and value-added products, whose specific goal will be to support all public and private sectors operating in the environmental monitoring and security. According with the directives of the Apulian Aerospace District Development Plan, the Data Fusion Center, during all phases of study, development and implementation, will be one of the main instruments of regional integration and synergy between scientific world and industry, becoming a major regional infrastructure for research and development in aerospace. The design of a Data Fusion Center located in Apulia adheres also to the actions mentioned in the programmatic agreement between the Apulia Region and the Italian Space Agency (ASI) and is aimed at creating a center located in the region for the interpretation and integration of remote sensing data collected by satellite and in situ sensors. According with the European Directives in terms of safety and environmental monitoring (eg. Europe 2020, the Water Framework Directive, etc.) both the new mission SHIRA and the innovative services provided by the Data Fusion Center will also contribute to the periodic operational monitoring activity, which all EU Member States are bound. The SHIRA programme, therefore, integrated with the main current space platforms, perfectly suite to the technological and political developments in the European space sector and the environment policies. The program will last 24 months and in order to achieve these results, it is organized into individual projects relating to individual companies. technologically consistent and complementary with each other.